Enjoy watching John at work! 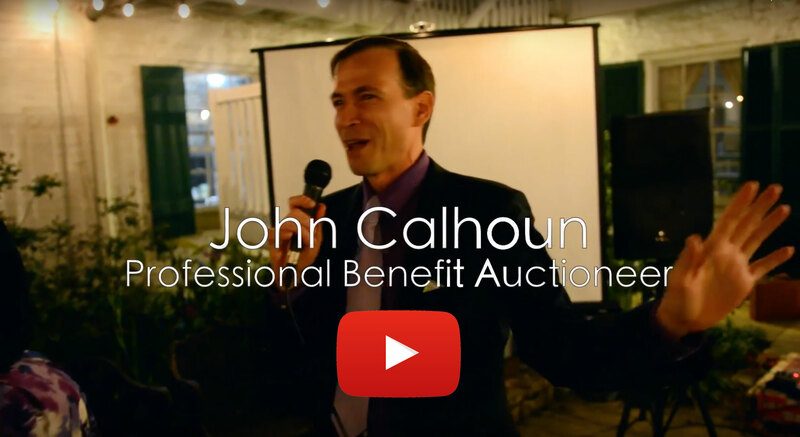 Organizations often wonder if they should do a silent or a live auction or both. 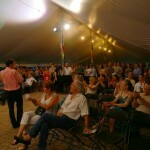 Fundraising events that include a live auction will always raise more money than those that don’t. 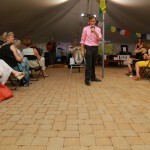 I’ve often seen organizations triple their income at an event when they made the move to a live auction. 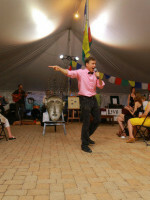 Live auctions are also a lot more fun. It’s a great opportunity to engage with your audience and for the auctioneer to talk about the mission of the organization. Silent auctions miss out on this level of engagement. A fund-a-need goes by many names including direct appeal or paddle raise. This is a fantastic way to raise large amounts of money in a short time with the added benefit of not needing to solicit any auction donations in advance. The bidders make direct donations to a specific program or action item. 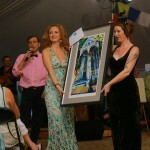 Since the bidder isn’t purchasing anything, this allows the bid to be a tax deductible donation. Also, bidders like to know that their money is going to a specific cause and not just a general contribution to an organization. On average, more than half of what I raise in a live auction comes from the fund-a-need, and this takes only about 15 minutes. This works best as the last auction item. I ask for direct donations at decreasing increment of money. For example, I may raise money at the $5,000 level and work down to $100. This is a great opportunity for everyone to bid as much as they’d like and donate their funds. The fund-a-need can also work as a stand alone fundraiser, though the live auction beforehand works well to warm up the crowd. I like to think of the fund-a-need as the non-competitive part of the auction. 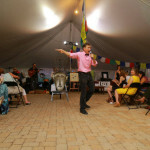 If you choose to hire me for your live auction you get much more than just someone who shows up the day of the event to conduct your live auction. I will consult with your auction team in advance of the event to create the most successful auction possible. 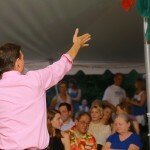 I have experience with auctions from the planning end as well as being an auctioneer. 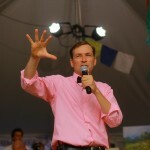 I will share the best practices to create a fun, successful, and stress-free event. 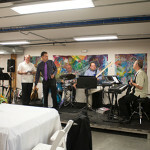 Whenever possible, I work with a live band while I am conducting an auction. 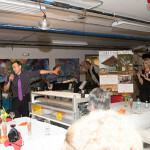 This creates a very entertaining and engaging auction while raising even more money. The band plays nice background music while I am describing the items up for bid. 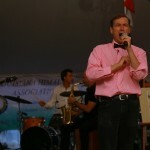 The band plays behind me as I do my auctioneer chants, and the band then plays a celebratory song when the item is sold. I ask for a drum roll during those moments when someone is considering raising the bid. 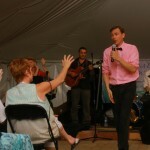 I combine my skills as a musician, comedian, and entertainer while I am conducting an auction. 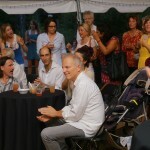 I love to create a memorable evening, and the attendees connect that memorable experience with your organization. I love to work with organizations to create memorable events that people eagerly look forward to every year.